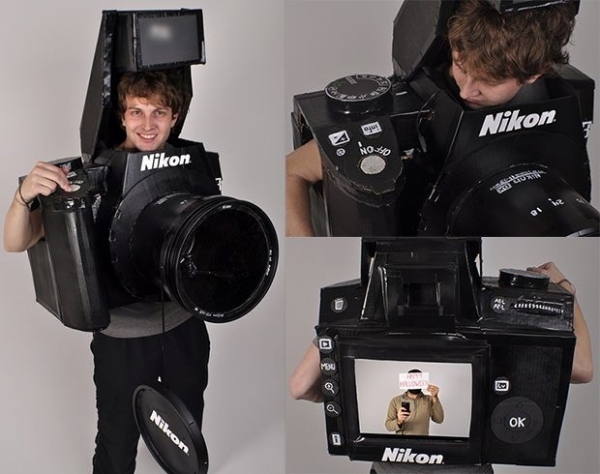 For this year's Halloween, Tyler Card has made himself a Nikon D3 camera costume. It's fully functional, complete with an LCD display, built in flash, shutter release button/wireless remote control. Here's a video showing how it was made. doubt its fully functional but nice one.